Over the last quarter of a millennium, humans have moved indoors. Beginning in 1750 with the first wave of the Industrial Revolution, a gross migration began to occur when people from rural, outdoor, farming communities moved to cities. Now, more than 50 percent of the world’s population lives in urban areas. In the early stages of industrialization, people were moving to cities for factory work. Now, in the post-industrial economies of the developed world, people have moved up from the factories and are working in office spaces, living stationary lifestyles under fluorescent lights. 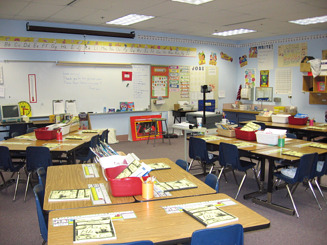 With the invention of universal education that came with industrialization, children have also been brought inside. Education inflation has caused young people not only to spend school hours inside, but also to spend more time inside studying, with everyone sinking down in front of the TV or computer when the long, tiring day is over. Today, we see less-developed countries experiencing the same lifestyle shift that brought us indoors. Now, I’m not romanticising life before the “Great Indoor Migration”, because I think it has ultimately improved our lives. Without this shift I would probably be spending my day harvesting crops, cleaning the house, and thinking about getting married in five years. Instead, I’m going to school and hoping in five years to start a life and career for myself. The fact of the matter is that we are now living indoors more, and it’s time to spend a little time being active outside. The fun, animated video “What if You Stopped Going Outside?” describes health risks and problems that could arise from not spending enough time outside - including osteoporosis, depression, and even cancers. Furthermore, the Harvard Health Letter gives some of the benefits of spending time outside. These benefits include getting more vitamin D, more exercise, a happier life, better concentration, and a better healing time in the event of injury (you can read more about how sunshine and fresh air help these processes). Being outside feels good and is good for you. Being outside and being active go hand in hand with being healthier and happier, but the main problem facing most people is finding time to be more active. Volunteering outdoors is a great way to merge outdoor activities with community engagement. You will be impacting the community by volunteering and helping yourself by being active. While out in nature, you are inevitably active. Hiking, climbing, and running are all ways we interact with nature while being active. It is also important to protect the environment around us so it can sustain us and an active lifestyle. Volunteering with organizations concerned with the environment is a great way to get active and volunteer. 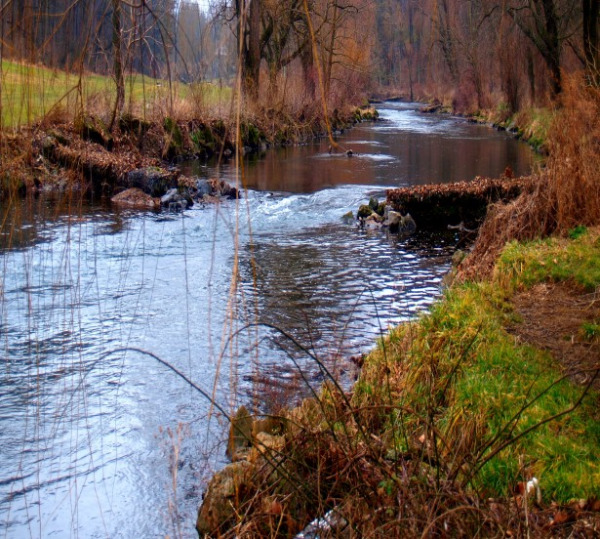 Some outdoor environmental projects could entail planting a community or urban garden or helping clean up a river, beach, highway, or nearby park. To find these types of opportunities, look up local parks and environmental organizations. Remember not only to keep it outdoorsy and active, but to keep it local too. Part of being more active is also getting out of those cars and using your legs as transportation. Cars pollute the environment, so if you are trying to improve the environment and enjoy your time outdoors, do your best not to pollute it even more. Plus, you’ll have a direct impact on your own local community. Sports are another way people enjoy their time outdoors. Walks and marathons are common fundraising events, and nonprofits are always in need of volunteers to register runners, hand out water, stand along the route and encourage the racers. For example, the Canadian Breast Cancer Foundation CIBC Run for the Cure and the Susan G. Komen Race for the Cure in the States are two runs held to support breast cancer research and breast cancer survivors. Right now, October is Breast Cancer Awareness Month, but the events are held year round. Local organizations may also hold fundraising races for local causes. In Greensboro, NC, an event call the Chicken Walk will take place next month to raise money to help the Interactive Resource Center, a local resource that helps people experiencing homelessness, keep its doors open. A fantastic woman named Amy Murphy began the project by taking chicken that restaurants were throwing away, and feeding it to the homeless, who she refers to as her “friends downtown.” If you are in the area, find out more about this year’s inaugural Chicken Walk. Volunteering with athletics is a great way to help with an important cause, but volunteering actively can also mean supporting the cause of physical activity and exercise itself. 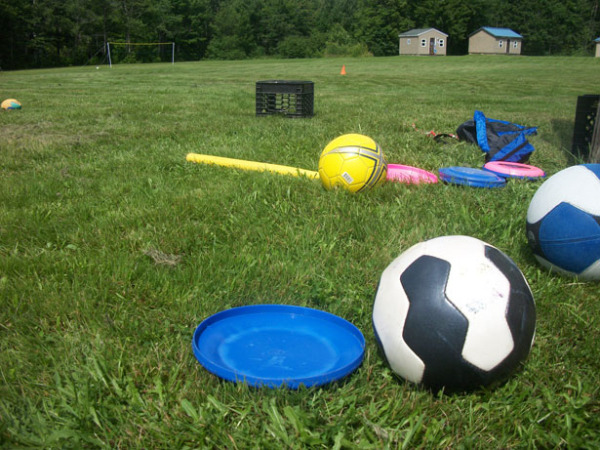 Volunteer coaching or hosting a field day are both great ways to get outdoors. Not only will you be active, get outside, and have fun, but you’ll also bring the importance of being active to children growing up in the “Great Indoor Migration”. You’ll become a positive mentor and leader to the kids you work with. You can inspire them to lead healthier lives, develop sportsmanship, and enjoy just being a kid. To find these kinds of opportunities, team up with local schools, parks, and recreation centres to get involved or to pioneer your own program geared toward fitness. What are some ways you are tracking your Noble Impact™ by getting active outdoors? In beginning this post about social entrepreneurship, I was very excited because it is such an exciting and inspiring focus. However after tapping mindlessly on my keyboard and coming up short, I was faced the ultimate test of blogging in taking what social entrepreneurship means to me and translating it into what it means to the world. As a writer I realized I was stuck on words to use, and as a learner I saw that my stuckness meant I had much to learn, so I began researching. I proceeded to answer the question: What is social entrepreneurship? It was not too long until I found Ashoka, the largest global network of social entrepreneurs, had answers to my question. 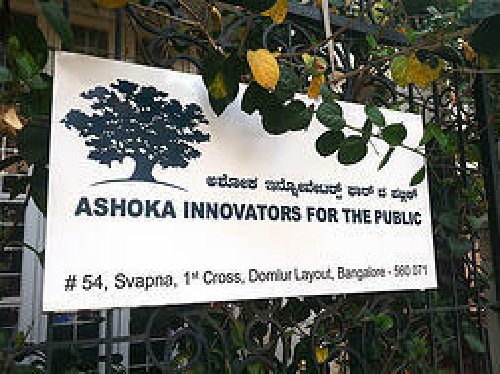 Ashoka, with years of experiences building social entrepreneurship, explains that, “Social entrepreneurs are individuals with innovative solutions to society’s most pressing social problems . . . a role model proving that citizens who channel their passion into action can do almost anything . . . the citizen sector has discovered what the business sector learned long ago: There is nothing as powerful as a new idea in the hands of a first-class entrepreneur.” Ashoka helps social entrepreneurs change the world by providing start-up funds, advice, and access to a worldwide network of support systems and volunteers. They encourage individuals to innovate society by applying entrepreneurial skills to real-world problems. I knew the topic of social entrepreneurship was exciting and inspiring, but I felt that as an explanation was too abstract, and I went on to find real world examples of social entrepreneurship changing the world. 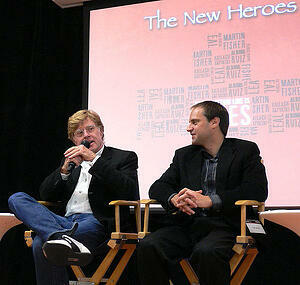 Reading about some of the world's greatest social entrepreneurs on PBS' “Meet the New Heroes”, I was touched. Take Moses Zulu, who started Children's Town, an orphanage created to help children in Zambia whose "basic needs are unaffordable luxuries." Taking in children who've lost their parents to AIDS, Children's Town cares for and educates these children to better their future with skills they'll use to find better jobs. Meet Kailash Satyarthi in South Asia, who started his social entrepreneurship by leading raids into factories to liberate workers, particularly children, from a life of servitude. Then there’s Mimi Silbert who started Delany Street Foundation to help house and rehabilitate people stuck in a life of crime. In conjunction with education and counselling to help clients find jobs and lead successful lives free of crime, the residents work in the organization’s many businesses to generate revenue for the program, linking their success to the success of the organization. The list of social enterprises goes on, and I found it extremely difficult to find just one—one that was the most impactful, most interesting, or most striking—to write about. I wanted to know all of them. To write about their causes and analyze their successes to help you see where your social enterprise might start, but I realized that I also have an English presentation to write today so there was not time to write a novel. The story of social entrepreneurship is innovative, inspiring, and incredibly heart wrenching. Each opened my eyes to a world of suffering I hadn't known before, but also a world of hope. Social entrepreneurs take the downtrodden and use business concepts to empower the world. Social entrepreneurship is rooted in the idea that filling tonight's hungry bellies and bandaging the day's wounds only leaves for more hungry bellies and broken bones tomorrow. Aid and handouts are helpful in the present but also temporary and easily used up. Sustainable and innovative solutions tackle tomorrow's problems today. The education sector is realizing the mark social entrepreneurship is making. A recent article “Social Entrepreneurship Is Bringing Purpose To Higher Education” explains how this process is unfolding. With today’s academic inflations (see a great explanation of this process here)—and high tuition costs—, “students, parents and employers are all expressing doubt about the value of an undergraduate degree.” To get the best value out of their education, students are increasingly drawn to social entrepreneur programs. Programs that reconcile learning with passion and innovation: “ . . . teaching social entrepreneurship is a key part of solving this problem . . . Entrepreneurs are defined by their sense of drive and determination, their willingness to fail and then try again, and their vision for applying their learning in productive ways. Those also happen to be the characteristics of great learners.” The article details some programs and fellowships that encourage university students to pursue their social enterprise goals. These include Uncollege’s Gap Year program that encourages students to take a year off college in the name of social enterprise, ThinkImpact’s summer institutes, Brown University’s Swearer Center, and Middlebury’s Center for Social Enterprise. In addition to knowledge, successful graduates will also need motivation and initiative to take what they have learned and use it to solve world problems. The purpose of education is not just to make grades and past tests; it’s also for young people to develop the intellect and skills needed for lifelong success. In the case of social entrepreneurship, success lies in synthesizing these skills with social responsibility, and embedding one’s success and passion in empowering others. Social entrepreneurs invest their talents in the world and the output is the happiness for both producer and consumer. One of my favourite social entrepreneur teams is Dr. Govindappa Venkataswamy and David Green. They started eye hospitals in Madurai, India, Nepal and United States to treat cataracts. Green uses a term I love, “compassionate capitalism,” to explain social entrepreneurship: “Green is convinced that western capitalism has failed to grasp opportunities in the developing world . . . He says "compassionate capitalism" extracts a small amount of profit from each item sold, but generates a very high sales volume. In the process, it is possible to make available critical goods and services — like eye care — to billions of people” (“Meet the New Heroes”). In writing this post about social entrepreneurship I discovered that my understanding and mere awareness of the process was not enough. I’ve found people who recognize the potential in the afflicted and find a way to pull success out of them. In discovering the stories of the world’s change makers and learning from their determination and success, I’ve come to appreciate people not only for their talents, but how they impose their kindness on the cruel world to make it better.